Just a few days back I had written about the casteism among Indian Muslims. Now comes this news from a Government Urdu school in Bihar where the children refuse the mid-day meal because the new cook in the school is a Dalit woman. We are Muslim and won't eat food cooked by Harijan', said Rozi Khatun, 13, a student. Of course, the children didn't have much idea. Rather it was their parents who made their children, stop eating and protest the move to let a Dalit manage the school kitchen. The school is in Amri village of Rohtas district. After the reports appeared in media, ADM Dr Ram Narayan said that the officials will go there and persuade the local residents. The parents maintain that earlier there was the Muslim cook but now a Dalit woman was cooking the food, which was not 'justified'. It's astonishing indeed but a fact that Muslims are casteist in their own right. From urban Indian mindset we may find it shocking but it is a reality in rural areas in caste-ridden North India. So much about chanting 'ek hi saf meN khaDe ho gaye Mahmood-o-Ayaz, na koi bandaa rahaa na koii banda-navaaz', the hyprocrisy becomes evident here. Voting for SC/ST candidate is fine as it may work politically but on social level it suits many Muslims to treat the marginalised sections with the same contempt which sections of upper castes have towards the Dalits. After all, it is always good to ears when you say 'Pandit Ji' and he replies 'Khan Sahab' or 'Miyan Ji'. Two years back I had written a post on the 'Hindu Khana' and 'Muslim Khana' in Bihar. For policemen the food is still prepared separate in accordance with their religion. Click to read the post. Also, a post on Casteism among Muslims. Click. Uttar Pradesh is the biggest state in the country in terms of population and nearly 20% of Indians live in this state, which has the most fertile land and has rivers like Ganga, Jamuna, Gomti and Ghaghra. But it is probably the only state in India where the 'pankhas' (hand-held fans) sell in lakhs every year. Except Mayawati's hometown, the small Badalpur village, there is no other town that can boast of regular electricity supply. When Mulayam Singh Yadav was the Chief Minister, his village Saifai was the VVIP Town for the Electricity Board officials. The State capital Lucknow and Rampur, which Mohammad Azam Khan represented, were two other places that had a comparatively better power supply than other districts. But the day Mayawati took over the reins of the state, a newspaper report quoted a senior functionary of the Board that the VVIP status was now conferred to Badalpur, leaving Saifai in near permanent darkness. Lucknow, the State capital, gets a slightly better deal than other districts. As Mayawati's chief advisor Satish Mishra hails from Kanpur the status of the City has also gone up. Rest it is all dark in UP. In cities like Benares (Varanasi), the boards at the reception of hotels, say it all. The visitors are asked not to expect electricity during the day and only in the night, the electricity would be supplied through generator. In rest of the country, the situation isn't as bad as in UP. Where else you will see generators of all possible kinds, outside every shop in the markets. Even inverters have lost their utility. After all, they can store electricity only when there is electricity. But when there is no power for days, inverters can't work. So it's generators working on government-subsidised cooking gas, diesel, petrol, kerosene and the latest innovation--the battery-run fans. The picture on the right shows a fan that works on battery. The blades of the fan are lighter and at least the family members can get some relief in the night and have peaceful sleep after braving the entire day without power. In millions of households that can't afford them, the hand-held pankhas are used by sweating men and women to beat the heat. It is foolish to expect industrialists to come here when there is such paucity of power. In villages the situation is worse. For days there is no power and even if it comes, the voltage is so bad that nothing can work. Neither tube wells nor motors can work. Farmers use age-old techniques for irrigation. And for electricity, a unique 'katcha bulb' that only works on low voltage, works. It explodes if the voltage goes up. In areas represented by a strong legislator or the MP, the power supply is slightly better but it can't be more than 8-10 hrs in every 24 hrs. The difference in power production and it's demand is nearly 50% of the electricity that is generated in the state. No wonder, the 'haath ka pankha' remains a must in most houses. For the rest of India, especially the Western and Southern regions, the sight of people drenched in sweat and using the 'pankha' could come as a shock. Ironically, Kanpur was probably the first town in India to have street lights during the British rule. And this City that was once growing so fast that it was often termed as fifth metro of future in the decade of 70s, is now a redundant urban agglomeration of nearly 3 million where factories and tanneries have closed. Either it's Congress, BJP, SP or BSP, each political party has exploited the electorate of Uttar Pradesh over the last 20 years when the Arun Nehru-Rajiv Gandhi combine brought Ayodhya to the centre stage and the politics of caste and religions swept all real issues aside. The Presidential candidate Pratibha Patil in a public function at Mount Abu on June 14, said that she spoke to a man who died 38 years ago. Still she went on to say that 'she had conversation with Lekhraj Baba through Daadi Hriday Mohini. 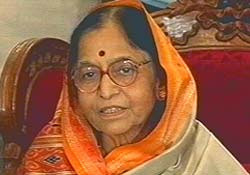 In front of a gathering, Pratibha Patil, said that Lekhraj Baba's spirit (aatma) came into the body of Hirday Mohini and spoke to her. It has only caused further embarrassment for the Congress and the UPA as Pratibha, who is all set to head the nation in 21st, seems to believe in 'occult' and spirits. Belief in religion is a different thing but superstition and more so, airing these views in public function, from a public figure is surely alarming. Shivraj Patil was rejected as candidate also because he is a firm believer in Sathya Sai Baba (Leftists had reservations on his uncompromising belief). Visiting shrines of various religions is not an issue in a pluralistic society but such statement coming from the Prez candidate is definitely a cause of concern. Time and again Pratibha has landed in controversy. First, the statement over purdah, then the alleged murder allegation on her brother and two other controversies including the allegation that her sugar factory owed crores to cooperative bank in Maharashtra and another issue over land in her native town. TV Channel Jan Mat showed the footage on Monday. Communists may also get uncomfortable with such views. And Bhairon Singh Shekhawat's chances may brighten a bit. It must have been a jolt for him when Shiv Sena decided to support Patil. Hindutva takes a back seat for Shiv Sena, Marathi first! So the 'Apla Manush' seems to have relegated Hindutva. After all, Uma Bharti had cautioned Bal Thackeray about Patil. She had reminded him that Patil was against the Hindutva cause as she had returned the 'anti-conversion bill' as Governor of Rajasthan. So who is the greatest champion of Hindutva? Thackeray has shown that for him regionalism is foremost. Muslim world's response on 'Sir' title to Salman Rushdie: Excessive importance, attention given to knighthood? 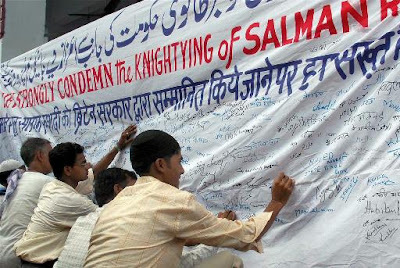 The photograph on the left shows Muslims in Lucknow, registering their protest against knighthood to Salman Rushdie. Is it an attempt to provoke Muslims? And is knighthood important enough for people to get angry. It is an outdated concept. Britain, a former imperial power, is also neither an important nation, nor the honours given by the 'Queen'. Neither it is the Nobel prize nor any honour given by an international platform or organisation like United Nations. Meanwhile, why can't Muslim nations start some really good awards and titles for writers, activists, academicians, scientists and pioneers in other fields. This way they can honour deserving persons both from West and the East, which would be a much better way to tackle such situations. More than 50 Muslim nations, many of them quite rich, but none seems to have an idea about what good PR is. I really don't understand this outrage over the outdated 'Sir', this colonial hangover. yeh angrez maai-baap hain kyaa hamaare! Still, if you are angry or offended. It is better to sign protest letters, rather than the images of people protesting on streets, unnecessarily giving it undue importance. Mercifully we haven't seen such protests in India on this occasion except in parts of Kashmir. That's why I like this photograph. Meanwhile, on the entire issue, Mohib has written a beautiful piece at IndianMuslims.in here. I will tear apart your veins to see how much blood of my ancestors you have drunk..."
I have done a loose translation of the initial lines of Jayant Parmar' nazm. The whole Nazm in Hindi, Roman and Urdu can be read here. The poet challenges the caste system and goes on to say, 'I have learnt to fly like falcon/leap like leopard and made words my weapon. It is very rare to find a Dalit voice in Urdu poetry. For living languages it is necessary that their literature should represent voices from various cross-sections of the society. There is a tradition of Dalit poetry in Marathi and now in Hindi and some other regional languages also. Urdu has no dearth of Hindu, Sikh, Jain, Christian, (even Parsi) poets, there is probably no Dalit voice. And here lies the reason why Jayant Parmar becomes such an important poet. This particular verse is quite popular and has been translated in various languages. His ghazals are also different and in short 'bahar'. He recited a few ghazals and nazms. But I found him an introvert and a very private person. In Shabkhoon, Parmar was published regularly. Recently another renowned Urdu poet, Chandrabhan Khayal, has written a Dalit ghazal. As far as I remember he had written a Nazm on the desecration of Wali Dakhni's grave in Ahmedababd during the riots in 2002. Generally Urdu poets readily Nazms, qitas and ghazals on every occasion ranging from tragedies to triumphs but there is less focus on such social issues in Indian Urdu poetry. That's a healthy sign for Urdu language and literature. I will flay your skin. Stay outside the precincts of the village! even a donkey partakes of holy Ganges water!! to use words as weapons..
and hand it back to you! In the photograph on the left, you can see heaps of books lying in two shops that look like go-downs of old second hand books. That's in fact, a single shop, a unique place for aficionados of Urdu literature--the Khurshid Book Depot. A few years ago on a visit to Lucknow, I found this shop in Aminabad, stopped by and asked the person sitting on the desk, if he was closing this shop for ever. kyaa yeh dukaan bik rahii hai? My hope was that before finally shutting shop, he might give me a few books for throw away price. The owner, a bespectacled man, got angry. I later found that this shop has always resembled a 'kabadi ki dukaan'. However, the owner and his employees can find you any book within seconds from under the towers. This is just an outside view and I tell you, it is difficult to imagine, how the shop looks from within. But if you are a bibliophile and would like to have a rare Urdu/Arabic/Persian book in your collection, Khurshid book depot may just be the ideal place for you. It is a different matter though that the owner makes it a point to put a sticker on the price tag every year and adds a Rs 10-Rs 15. When everybody is looting, can't we spare a few more bucks for a bookshop. On my first visit I had asked for the rarest of rare and controversial Tazkirah Khush Moarka-e-Zeba, which I couldn't dare ask at any other book store in Lucknow as it contains explicit details of the tradition of pederasty in Oudh (the book is about many other things as well). He didn't have it but assured that he would get it for me. However, in the last couple of visits i have found many valuable and rare books here including the two old must-have books for any library Deputy Nazir Ahmad's Miratul Uroos and Banatun Nash. In the other picture, you can see the disorder inside the shop. Twice or thrice I go to Lucknow every year. Of course, I no longer mind the curtness of the shop owner, nor I am concerned about the arrangement of books here. The shop and the shop owner both amuse me and I only wish that he will keep running the shop, even at the cost of putting stickers every six months! Afsana Mansuri, lives in a slum, works as domestic help in houses where she washes utensils, studies and still gets time for her passion--basketball. She is the source of strength for five other ambitious Muslim girls who leapt into the basketball court where they practice for hours under the floodlights, reports Shailendra Awasthi in the Indian Express. Apart from her, there are other girls too. Zarin Rangwala, Nurunnisa Khan, Sumaiya Sheikh, Afreen and Rehana, are all members of the NBA. 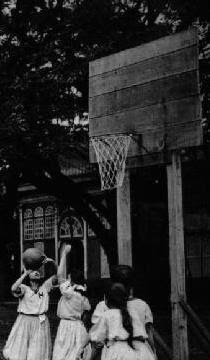 Of course, this NBA stands for Nagpada Basketball Association. that startled Mumbai's fancy club teams to reach the semis of the district level tournament on debut recently. No hi-fi shoes but just basic gear and grit, writes Awasthi. The coach Abdul Rashid says that just to ensure no Maulana objects to girls playing, we told them to wear track pants. Renowned Hindi author Asghar Wajahat's book 'Main Hindu huuN' is a collection of stories that mainly address communalism and other social issues. The last chapter titled 'Shah Alam Camp ki ruuheN' is a series of ten mini stories and a few of them were posted in some blogs, which have caused a stir. A few Hindi bloggers are supporters of Sangh ideology also [I have no problem with that personally though, everybody is entitled to his views) but when it comes to literature, the level of debate should be a bit more serious and things must be put in perspective. ...saaraa camp jab so jaata hai to bachche jaagte haiN, unheN intezaar rahtaa hai apni maaN ko dekhne kaa....abba ke saath khaana khaane ka....'kaise ho Siraj'. Amma kii ruuh ne Siraj ke sar par haath pherte hue kahaa. Shah Alam camp mein aadhi raat ke baad roohen aati hain. rooheN apne bachchoN ke liye swarg se khaanaa laati haiN. paani laati haiN, davaayeN laati haiN aur bachchoN ko detii haiN. Yahii wajah ahi ki Shah Alam camp mein na to koi bachcha nanga bhuka rahta hai aur na bimar. yahi wajah hai ki Shah Alam camp ab bohat mash'huur ho gaya hai. Duur Duur mulkoN mein uskaa naam hai. Delhi se ek baDe netaa jab daure par gaye to bohat khush ho gaye...aur bole 'yeh to bahot badhia jagah hai..yahaan to desh ke sabhii musalman bachchon ko pahunchaa dena chahiye'. The leader who came from Delhi to inspect it, was delighted to see the Shah Alam camp and said, 'All Muslim kids of the country should be brought here. Meanwhile, the controversy over Blog Aggregator Narad removing a blogger from its database and banning him for 'offensive' language has also caused a major controversy. Pratirodh, the Resistance, protests 'Narad, send us also to jail' here. And do read this post by Masijeevi here. Was Rahul's language derogatory or it was in the tradition of (aughar parampara). Ravi Ratlami has again written a post about this censorship here under the title 'there is life beyond Narad'. 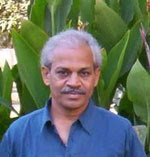 Though many like Epandit (here) support Narad's move. The question is that whether an aggregator has the right to ban a blogger's post.? May be they have. It's an ideological issue as well, whether heavily pro-RSS writings can pass off easily while leftist/ultra-leftist thoughts are curbed. Yes Narad is a big platform and may be it is the owners' prerogative to remove a blogger. But aren't there other options for a reader who gets offended. He can flag the blog post. He can post his comment against it. Nasiruddin at Dhai Akhar writes here. It seems the blogger (Rahul) has removed the post from his blog (bajaar) now. Whatever. Indian English blogs don't seem to have taken much notice of the scene in Hindi blogosphere. The world of Hindi 'chittha' (blog) has indeed become fascinating. There are serious issues that are discussed and there are bloggers who have got social concerns. Many of them are from small towns in Bihar, Madhya Pradesh and other states unlike big English bloggers who are mainly from metro cities. The Hindi bloggers are more emotional, write passionately and are eager to discuss the issues. Either it is the voice of Narad team members like Jitendra Chaudhary, Sanjay Baingani, Fursatiya or the dissenters, their writings are much more addictive. When they write, these bloggers pour their hearts out. Seems Hindi blogging has surely come of age. My mother tongue is Urdu. And that's why I do relate to the Hindi blogs quite easily. With Google making it easy to write in devanagari script, Hindi blogging scene is only going to hot up further in coming days. A few controversies may, in fact, help in the Hindi blogosphere as it can send both the blog-dadas and general bloggers into the introspective mode. For centuries Urdu poets have been writing ghazals but over the last decade or so, fresh voices have become rarer. You may like a couplet here or there but few poets have the capability to astonish you. You may blame the ghazal format but then poets like Irfan Sattar prove you wrong. I was going through Shabkhoon's last couple of issues and was amazed by this Pakistani poet. The last issue has, hold your breath, 28 of Irfan Sattar's ghazals. Like Lucknow's Irfan Siddiqui (who passed away sometime ago), Sattar has also forged a new way in the Urdu ghazal. Click to read the whole ghazal in Hindi/Roman/Urdu scripts. Nazm often gets neglected due to the extra importance given to ghazal in Urdu poetry both due to the latter's unique form and its appeal to the reader. The results of Urdu medium schools for the session 2006-2007 have been encouraging. Compared to past years, the pass percentage has been up in almost all the states. In Maharashtra, the pass percentage has been 79% for High School (Xth) and 91% for Intermediate (XII). In Bihar it has been 55% and 56% respectively. In West Bengal the percentage of students appearing through Urdu medium who passed has been 50% and 59% for High School and Intermediate respectively. In Rajasthan, it has been 41% and 50%, Madhya Pradesh 30% and 48%, Delhi 52% and 67%, Andhra Pradesh 45% and 65%, Punjab 42% and 50%. The figures for Karnataka that also has large number of Urdu schools is not available yet. Still, the figure is much better. Uttar Pradesh, the state with highest Urdu speaking populace doesn't have a single Urdu medium school (compared to a small district like Khandwa in Madhya Pradesh that has 55 schools). The problems facing Urdu medium students is delay in getting text books, which is annual feature, lack of school/college of Urdu medium after they pass out of schools that have classes only up till 5th, 8th, Xth or XIIth. Also, lack of trained teachers and career counselling are the major impediments in their way. 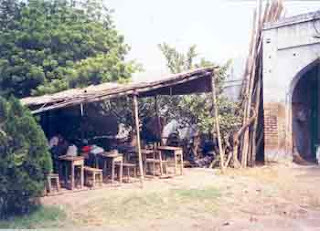 On the left is photograph of a school where classes are held under tents. Even in Delhi, most schools have dilapidated buildings, roofs that can fall any day. There is no dearth of funds for minorities and neither any lack of schemes for education but absolute lack of apathy amongst common Muslim towards education, makes it difficult for student of Urdu medium schools to compete with students of English and other medium. What's different about this photograph? The display boards in shops are in Urdu apart from English, like Akshay Jewellers as seen in photo. Such boards are seen only in Hyderabad, which in a way is the last citadel of Urdu in India. May be there are such hoardings and boards in Kashmir. But I haven't been there. Few non-Muslims consider Urdu as their language and even in Cities like Lucknow it has become very rare to find billboards/display boards in Urdu. This photo was taken near Char Minar. Of course, traders have their business considerations in mind and have no great love for any language. In Maharashtra, the Shiv Sena had recently started a campaign asking shop owners to write the shop names in Marathi. The rout of Congress in the civic elections in Malegaon and Bhiwandi, the two Muslim-majority towns of Maharashtra, comes just in wake of Congress' dismal performance in UP where for the first time not a single Muslim MLA of the party could win. Didn't Congress have enough indications or they were just not bothered? For years they kept the Sri Krishna commission report under the carpet though they pledged to implement it before elections. The indifference of the then Congress Chief Minister late Sudhakar Rao Naik towards the riots (before blasts) is well known. And though convictions have begun in the serial blast case, justice eludes the victims of the two rounds of rioting that had killed over a thousand people in Mumbai in 1992-93. There is hardly any action against the tainted police officers. And Vilas Rao Deshmukh government has shown a contemptuous disregard to the demand for CBI inquiry in Malegaon blasts. However, the emergence of a new party Indian Muslim Congress which won 27 seats to emerge as singly largest party in Malegaon and the Independents grabbing pushing behind all other parties in Bhiwandi, are clear signs that Muslims had finally decided to dump the liars and would vote for any party other than Congress. Muslim Congress had fought the election solely on the plank of development and without any preparation (it was floated a few days before election). IMC sought votes for 'taraqqi aur bhaichara' (development and communal harmony in the town). Mohib has written a comprehensive piece on the victory of Muslim Congress at IndianMuslims.in. We might see the resurgence of BSP in Maharashtra. In fact, soon after the results of Malegaon municipal corporation came out, there were reports that Shiv Sena and Muslim Congress could come together and stake claim for the post of Mayor and run the Corporation. Though it was termed as rumour by IMC leader Mufti Ismail. But isn't it a healthy trend? Why should Muslims remain perpetually in a state of fear created by Congress and keep a distance from Shiv Sena/BJP. Gujarat carnage aside, the role of Congress has been far worse. In Maharashtra, Muslims have been angry with the Congress for several reasons. It is the only state where 40% of jail inmates are Muslim against their share in state population, which is 10%. There is no implementation of 15-point programme for Muslims in the state and it is hard to believe but the state doesn't have the Minority Welfare portfolio in the government at present. Precious waqf property worth hundreds of crores including that of the orphanage in the heart of Mumbai has been illegally sold with government's tacit approval. The job scenerio for Muslims is bleak as suggested by the recruitment in police last year. Muslims students lose out as Marathi is the medium of entrance examination in the police force. Tales of harassment by ATS have acquired dangerous proportions. A Muslim politician told me that none of the 70 boards/corporations has a Muslim chairman. Of course, it wouldn't help much even if there are many but the problem is that Muslims are neither getting loans nor their colleges/institutions are getting aid properly. One must remember that the towns like Malegaon and Bhiwandi have the Muslim artisan population which had left towns of UP after the 1857. Soon after the first war of independence when the Muslims who were actively involved in the 'mutiny' were targeted by British, the stream of migration started. The Hindu populace in Maharashtra had welcomed them with open arms and helped in settling the 'baaghis'. Meanwhile, tens of thousands of Muslims from UP working in Maharashtra towns including Mumbai return to their homestate every year. For the last several years they were returning back with the tales of horror at the hands ofMaharashtra police. This had set the anti-Congress mood in UP amongst Muslims. Congress was always seen as a party Muslims would vote due to lack of alternative. But recent elections have shown that not just in UP but other states as well Muslims are no longer ready to be treated as a ryot of the party. There exist innumerable communities on the social networking site, Orkut but here I am writing about the community 'Hindu-Muslim can b best friends'. If you are on Orkut member, you can reach there straight by clicking here. It's a beautiful community that seems growing fast. I must congratulate the owner, GG, and the moderators SAA and Abdullah, for the effort. Already it has 531 members and I wish the membership here would grow. Each and every day one comes across articles/messages on sites and blogs that only talk about Hindu-Muslim differences but when you come across such a sweet community, one feels delighted. I believe that millions of Hindus and Muslims have their best friends belonging to the other faith. But the micro-minuscule lumpen lot on both sides, which works with a missionary zeal and hate, to post venomous posts/comments on blogs and sites, are mistakenly construed as representative voices of Hindus and Muslims. Such efforts either by GG or any of us, in any capacity, can surely change the perception. We must speak out more about what is common between us and foil the attempts of those who try to give the impression as if Hindus and Muslims are at war. Just that I really like GG's concept of this cute community.